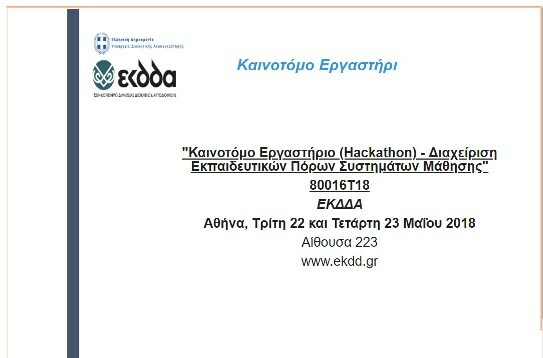 The Institute for Training (INEP) of the National Centre for Public Administration and Local Government (EKDDA) has organized a Hakathon Workshop on the Management of Educational Resources for Learning Systems in Athens, 22-23 May 2018. COMPASS was presented to the participants by Cleo Sgouropoulou (University of Western Attica). 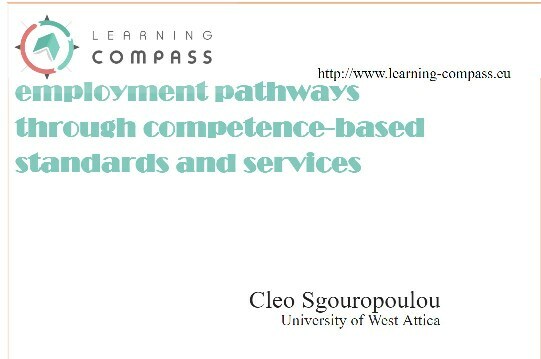 The COMPASS presentation “Composing lifelong learning and learning-to-employment pathways through competence-based standards and services” is available here. Copyright © 2016 COMPASS. Some Rights Reserved.